We are happy to introduce you to a new and innovative “Stingray” design of rotary clothesline cover created in New Zealand. New Zealand is famous for its changeable whether, and hanging out our washing on a sunny morning, only to drive home on a rainy afternoon and have to dry it all again is a situation we are all familiar with. With this new design you will never face that hassle again, knowing that you can hang the washing out in any weather, regardless of rain or shine. Tight circular shape prevents water pooling on top. Under heavy rain conditions the frame simply bows with the weight of the water, tipping the water off and springing back into shape. 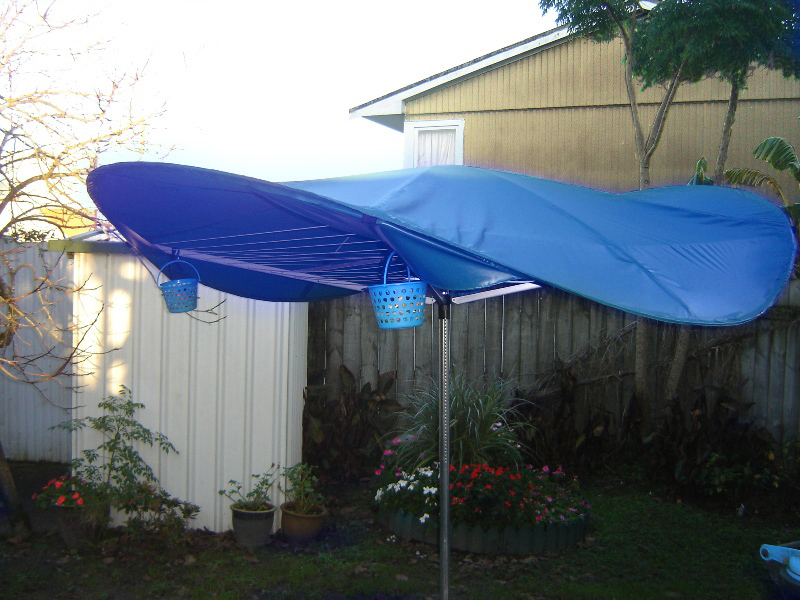 By preventing washing from becoming wet and heavy from rain, ‘Stingray’ clothesline cover can actually extend the life of a clothesline by reducing stress on the structure. 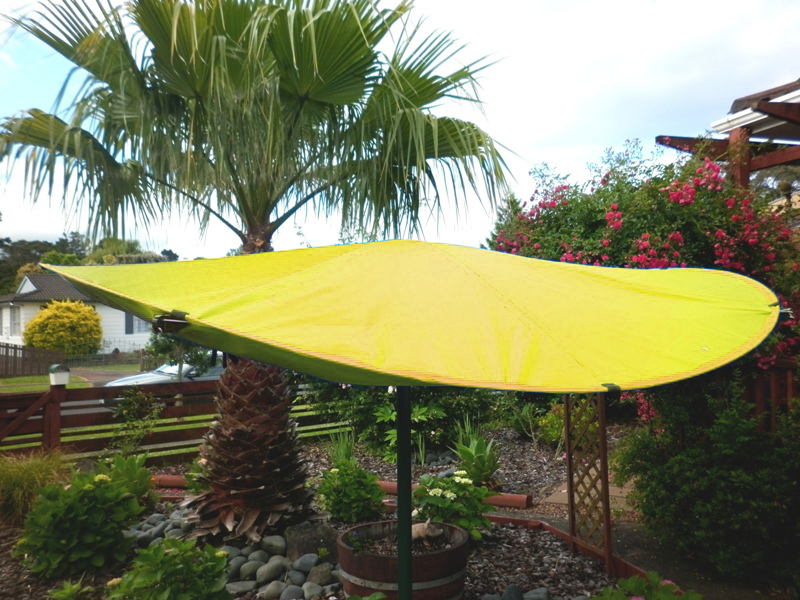 It also carries the added the advantage of protecting clothing from direct UV rays, which can cause colours to fade, and creates a shady spot in the backyard for very hot days. With rotary clotheslines in backyards all over the world we believe this product has a great future in the global market. We have a vision of a cover on every rotary clothesline in the world - as much of a necessity as the clothesline itself. .. Home .. International Licenses .. Contact Information..